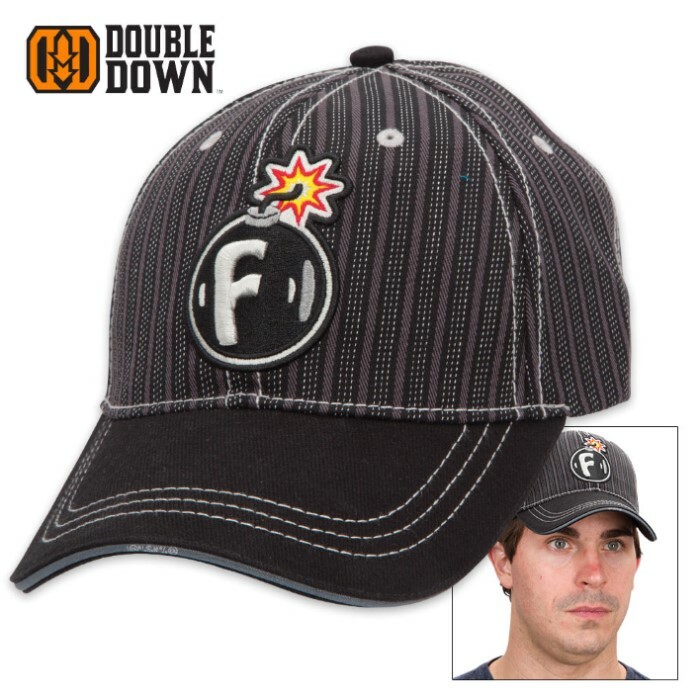 This clever cap from Double Down lets everyone you come across know you’ve got an atomic F-Bomb in your payload, and it has a short fuse. Need we say more? Black with dashed white and solid gray pinstripes, this cap exudes turn-of-the-20th-century mafia/gangster style. The brim is jet black twill with “[email protected]%$#%@” printed subtly in small characters in the center of the fringe. The cap’s centerpiece is its whimsical embroidered black spherical F Bomb with fuse alight in brilliant red, yellow and white. 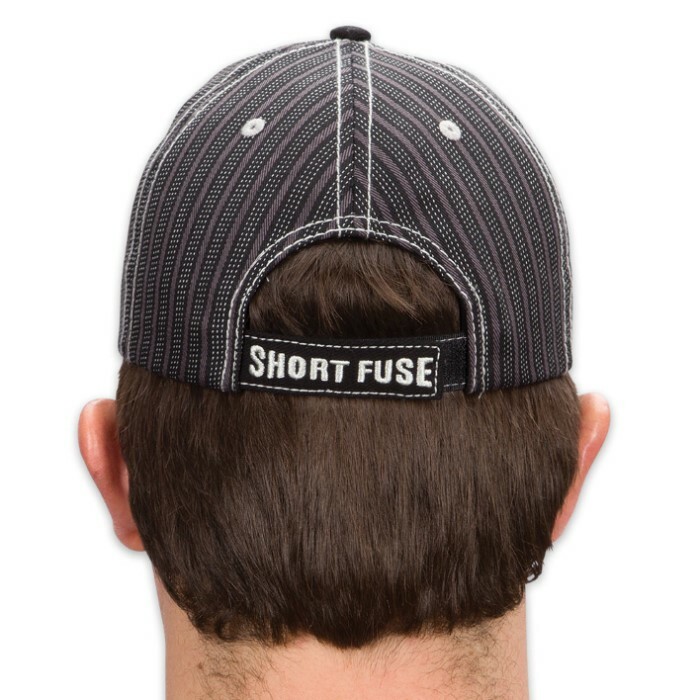 “Short Fuse” is embroidered in white across the adjustable Velcro-on-twill back strap. 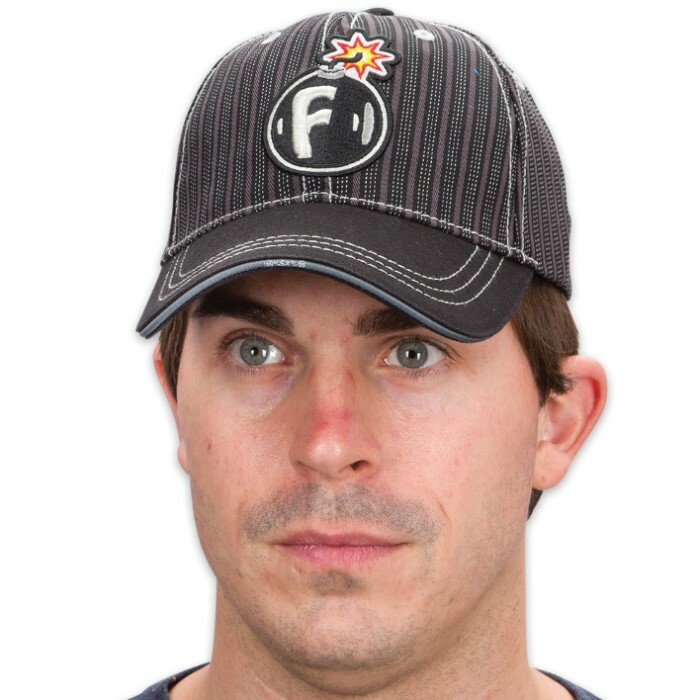 The cap fabric is 65 percent polyester, 35 percent cotton – a durable, breathable, cool and comfortable blend. This cap makes a great gift for jokesters, people with a “short fuse,” and anyone with a sense of humor. Or buy it for yourself as a warning to others – your F-Bomb is lit and ready to blow! One size fits most.